Featuring a different artist on each side. 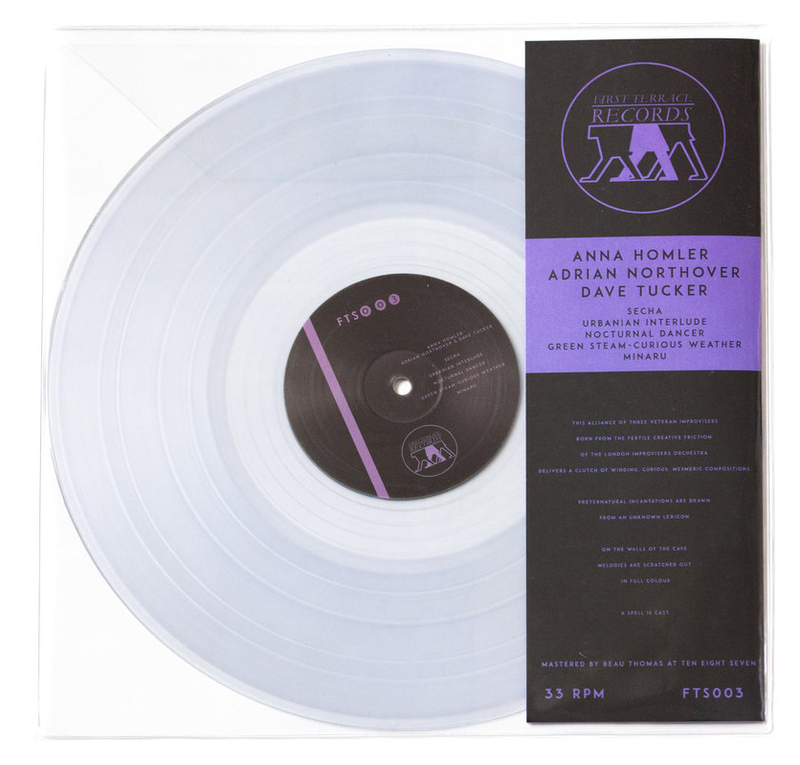 On the ‘line’ side of FTS003 we hear the meeting of three veteran improvisors – Anna Homler (Breadwoman/Pharmacia Poetica), Adrian Northover (Remote Viewers) and Dave Tucker (The Fall). Born from the fertile creative friction of the London Improvisers Orchestra, they incantate together to deliver a clutch of winding, curious, mesmeric compositions. 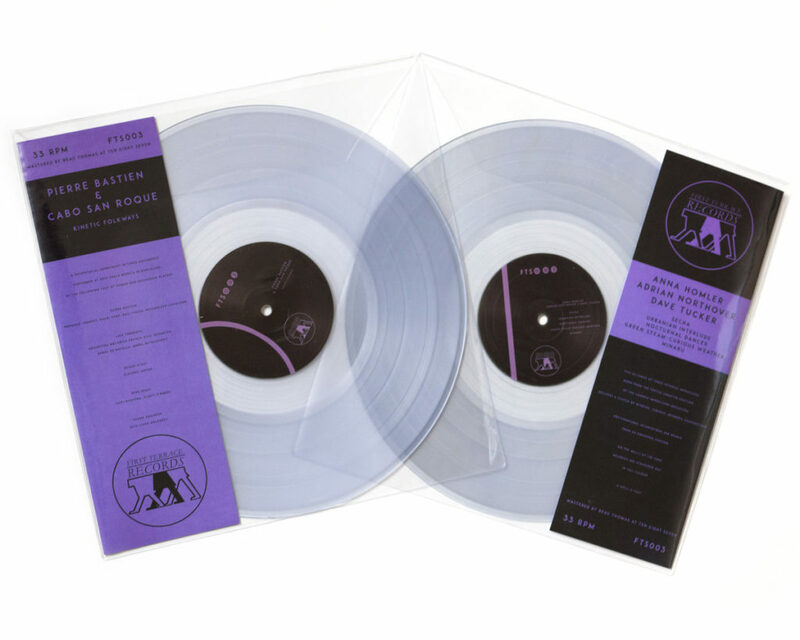 On the ‘circle’ side we present a recording from Pierre Bastien – an artist of startling singularity and endless, joyful creativity. Recorded at Arts Santa Mònica in Barcelona with Catalonian group Cabo San Roque, Pierre takes the helm of their monumental mechanical sound sculpture – the Orquestra Mecànica de la França Xica – and guides the vast array of cogs and pistons through three movements. The orchestra was made up of thirty or forty machines, all linked to Pierre’s casio keyboard. 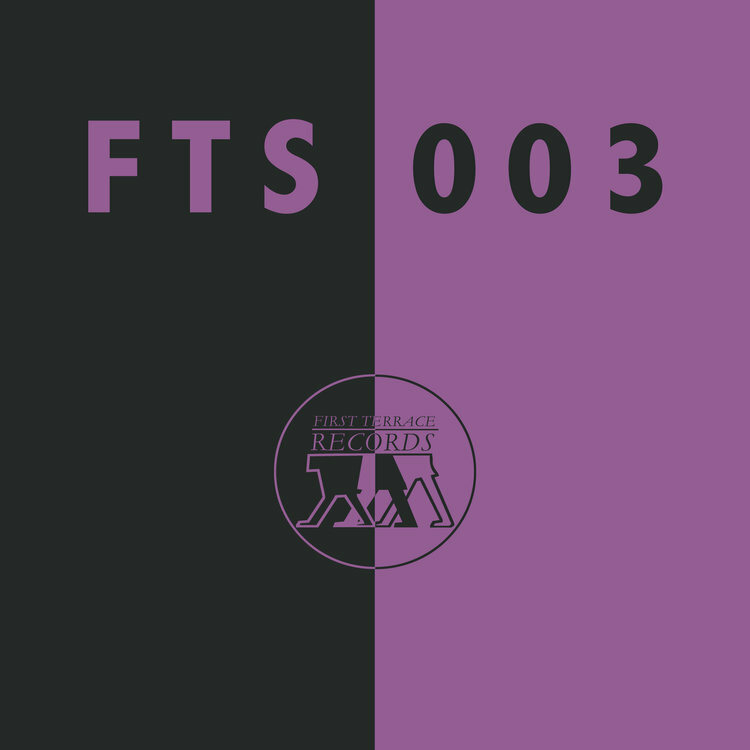 Posted in News and tagged as Adrian Northover, Anna Homler, Dave Tucker, first terrace records, first terrace records artists, FTS003, improvisational music.